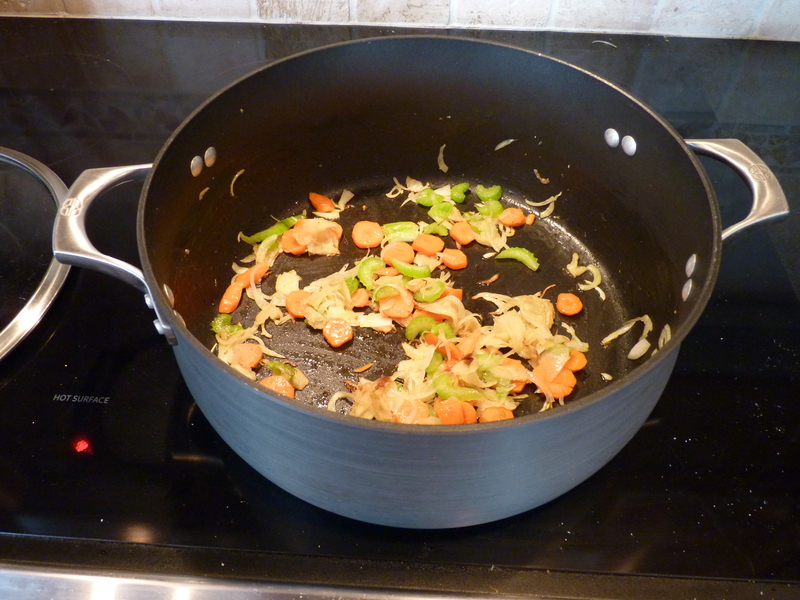 1) In a deep sauce pan set at medium heat, heat coconut oil then add carrots, celery, onion and ginger. Saute veggies for about 3min. 2) Add garlic and saute for another 2min. 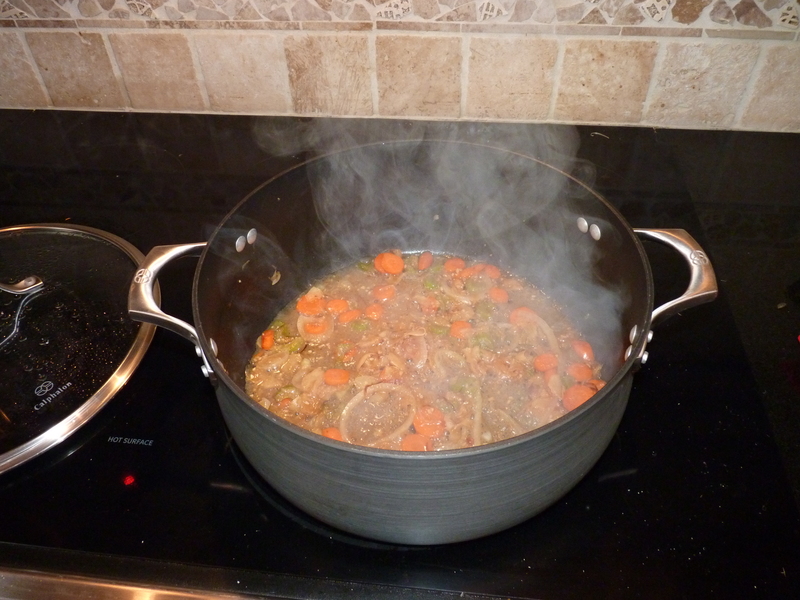 3) Add vegetable stock and simmer with the lid on over med heat for 5-10min. You want the carrots to become soft. 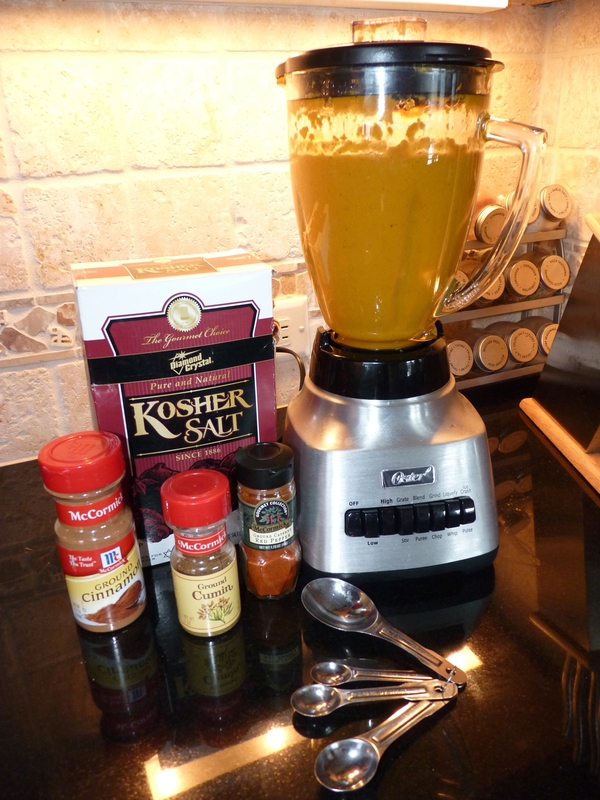 4) Pour cooked veggies into blender (or food processor). 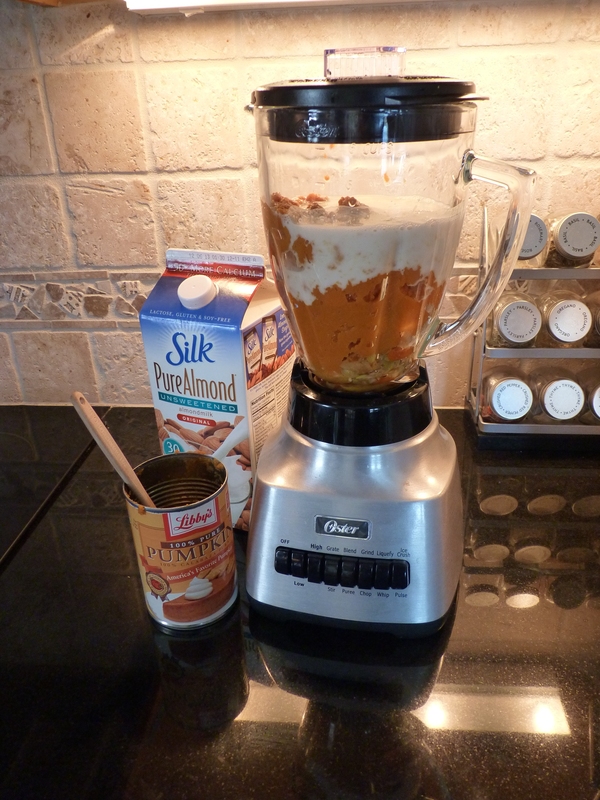 Now add pumpkin and almond milk. Blend for about 1min. 5) Now add the cinnamon, cumin & cayenne. Blend for another 1-2min until mixed thoroughly. 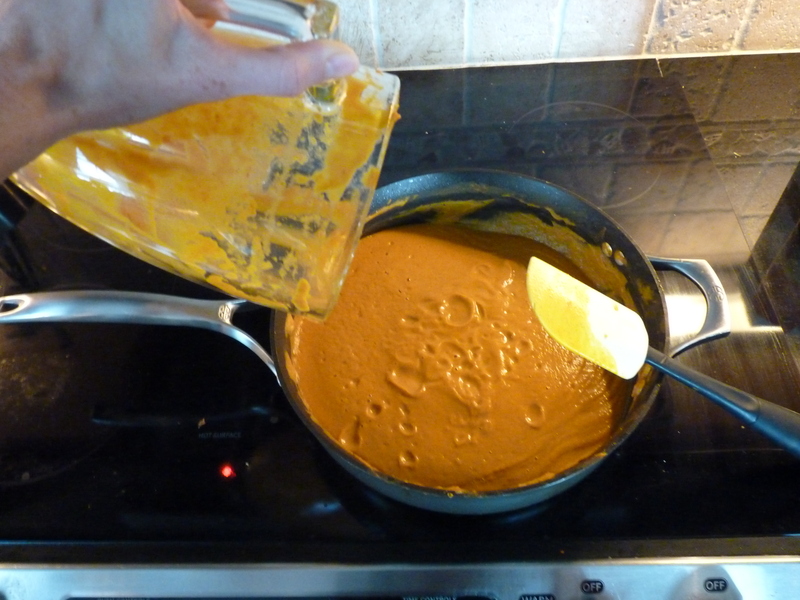 6) Pour blended soup back into sauce pan. Let it simmer for 5-10min on low heat, stiring occasionally. 7) Now taste and add salt or other spices to alter the taste to your liking! 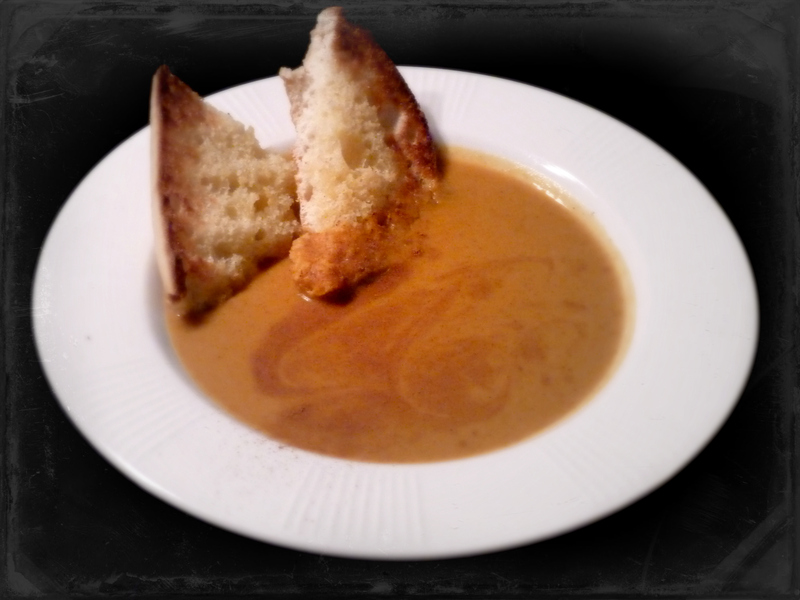 8) Garnish with cinnamon and use a knife to make a pretty swirl in the soup for a lovely presentation. Serve with buttered and toasted ciabatta rolls. *This soup is thick, creamy and rich in flavor. If you prefer a lighter soup with thinner consistency and a little less flavor then just add water and stir.